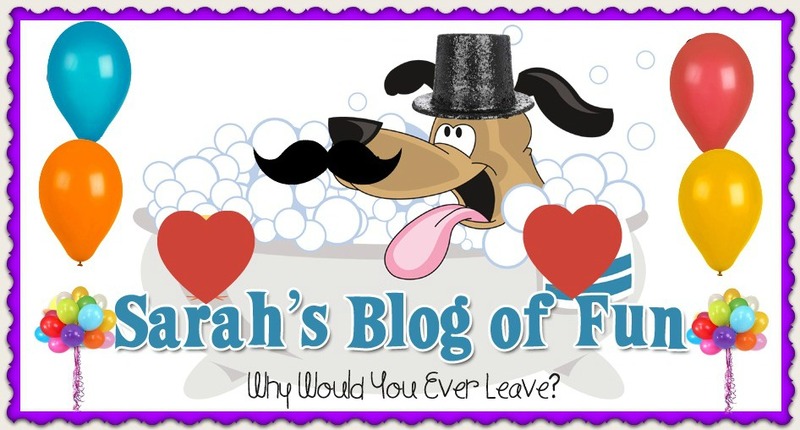 SARAH'S BLOG OF FUN: PBS KIDS Celebrates Dr.Seuss' Birthday With "Dr. Seuss' Cat-ebration! 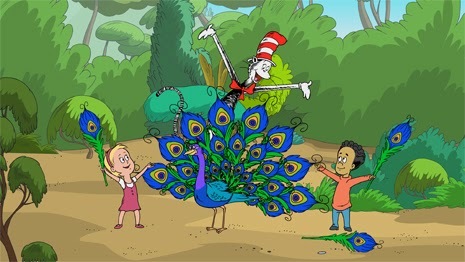 PBS KIDS Celebrates Dr.Seuss' Birthday With "Dr. Seuss' Cat-ebration! Grab your party hats and get ready to celebrate Dr. Seuss’ birthday with PBS KIDS and the Cat in the Hat! “Dr. Seuss’ Birthday Cat-ebration” kicks off on Monday, March 3, with an all-new one-hour THE CAT IN THE HAT KNOWS A LOT ABOUT THAT! special. The party continues all week with half hour episodes where kids will join Cat, Sally and Nick on more science adventures during this weeklong extravaganza. As part of the Cat-ebration, PBS KIDS has also launched a new, mobile-friendly THE CAT IN THE HAT KNOWS A LOT ABOUT THAT! game. “Marbleous Marvel Coaster” allows kids to create their own Seussian rollercoasters using open-ended play and engineering skills and is available at pbskids.org/catinthehat. “Step This Way”: The kids are playing dress-up, with Sally wearing her mom’s shoes and Nick wearing his dad’s shoes. They're having trouble walking, and the Cat thinks it’s because their feet are the wrong shape. But doesn’t everyone have the same shaped feet? Not at all! The Cat takes them to the Jungle of Bingle-Bungle Boo to meet his friends Emily the Teal, Mikey the Lemur and Greg the Gecko. They see that animals have differently shaped feet to help them do different things! You need the right feet for the right job! “Name That Sound”: Sally and Nick are trying to stump each other by guessing the animal sounds they’re making. The Cat stumps them both when he tries to make the sound of a cricket! But that didn't sound like a cricket. They all try but just can’t figure out how a cricket makes its noise. Well, Cat's friend Clarence the Cricket can surely show them! Off to the Grassy-Grove-Dell to meet him! He shows him his wings, one that is comb-like, the other a scraper; when he rubs them together, he makes his wonderful cricket noise. Back at home, Nick and Sally find things around the house they can use to mimic Clarence — a deck of cards and a comb! “Balancing Act”: Sally and Nick are trying to walk across a beam in their backyard, but are having trouble staying on it! Can the Cat help? Why of course! His friend Zappa the Snow Leopard is an amazing balancer! He uses his big wide feet and his long tail to help him keep his balance. Nick and Sally don't have tails, but they see how Zappa moves carefully to keep his weight balanced. Now they know what to do at home. Using broomsticks to help them stay balanced, Nick and Sally are able to cross the balance beam. And just in time to have some yummy bran berry muffins!